Preheat oven to 250°F. Spray a large, rimmed cookie sheet with cooking spray and set aside. In a large bowl, whisk egg white and water until frothy. Stir in cashews, making sure all are covered with the mixture. Pour into strainer and strain for about two minutes. Mix the sugar, salt, pepper and spices. 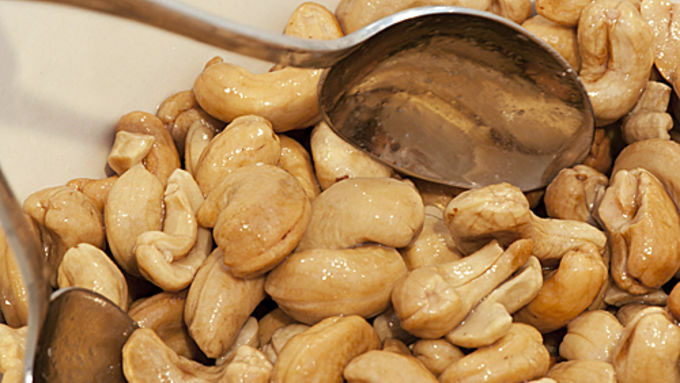 Pour the drained cashews into a large bowl, and add the spice mixture. Stir to incorporate. Pour the nuts onto the cookie sheet and arrange in a single layer. Bake at 250°F for 40 minutes. Remove from oven, stir and arrange again into a single layer. Return to oven and bake for 20 more minutes. Allow to cool to room temperature, then separate the nuts before serving. May be stored in an airtight container for 7 to 10 days. I have never met a cocktail nut that I didn’t like, and these Spicy Cashews are one of my favorite make-at-home versions. They are the perfect combination of sweet, spicy and salty! Although these are a little spicy, the heat index is easily adjusted – if “hot” isn’t your bag, replace some of the chili powder with sugar or another spice. Feel free to change up the spices, too, depending on what you have on hand. The chili powder and cinnamon are my standbys, but I swap out the coriander for cumin, or even a curry when the mood strikes (I’m going to try a little ginger next!). 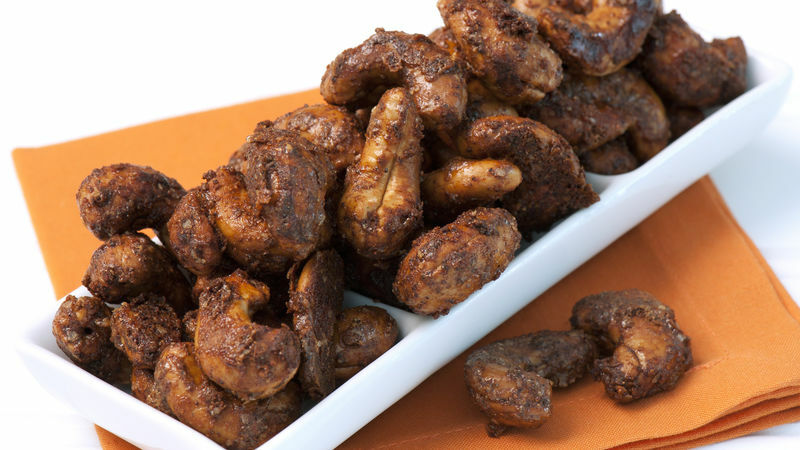 The recipe works just as well with almonds, pecans or even a mix of nuts. 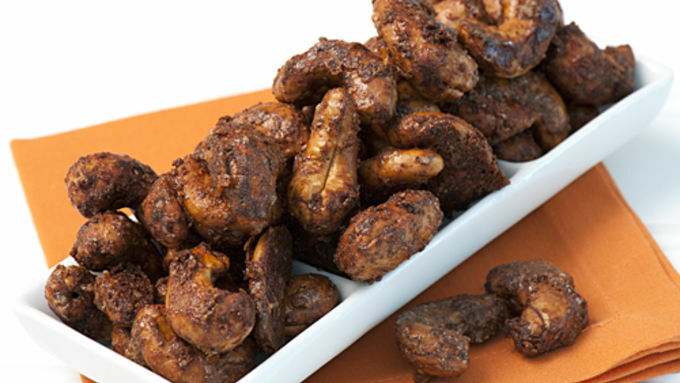 Most nuts, including raw or prepared nut mixes, will work well in this recipe. If using non-raw nuts of any kind, be sure to taste them before mixing up your spices. Because salt levels in prepared nuts and nut mixes vary, you may wish to omit the salt in the recipe if the nuts are already well seasoned. 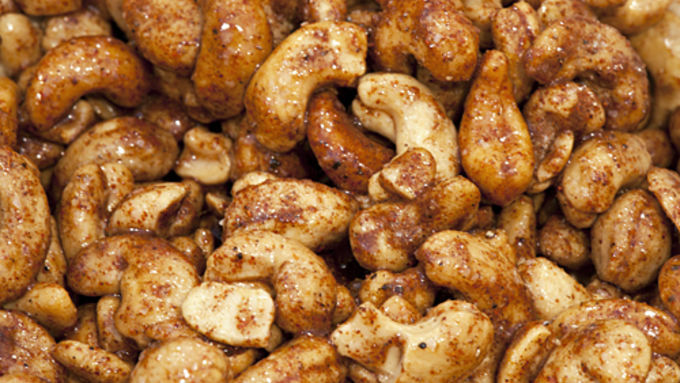 Spicy Cashews are a breeze to make. Store them in a tightly-sealed container for up to two weeks. 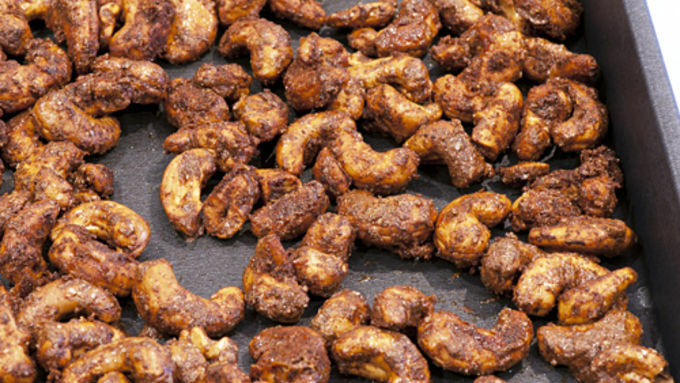 If you are making Spicy Cashews ahead of time, they can be warmed at 350 degrees for a minute or two before serving, if desired.